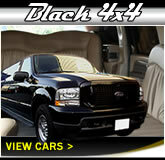 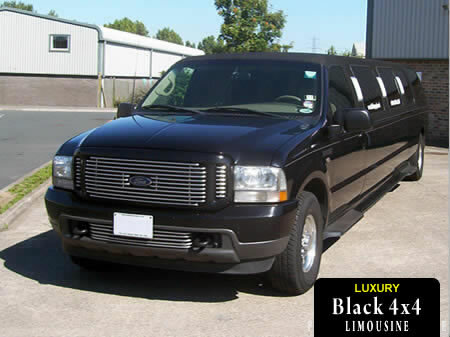 These all-American SUV-style jeep limousines are available for hire in black or white, as Ford Excursions and Lincoln Navigators. 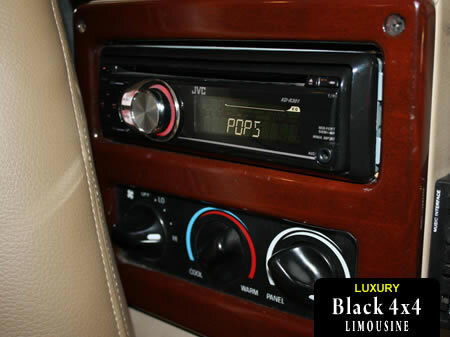 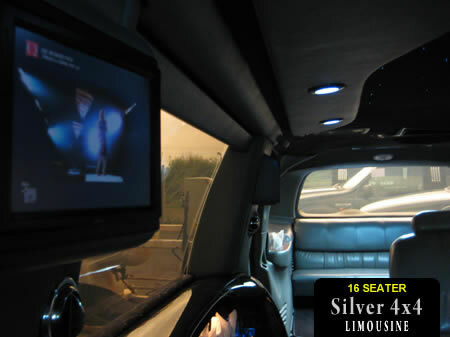 Each jeep limousine is of the highest specification and includes leather seating, TV and DVD player, plasma plates, tinted windows and air conditioning! 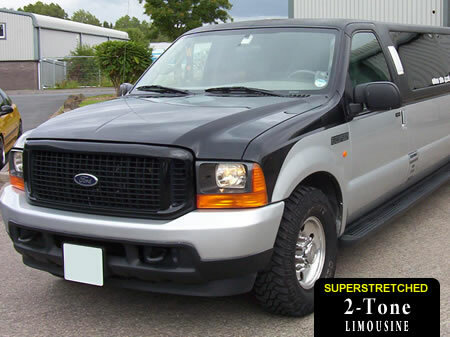 This Two Tone 4x4 is presented in a great dual livery colour scheme and is one of the newest superstretched 4x4s available for hire! 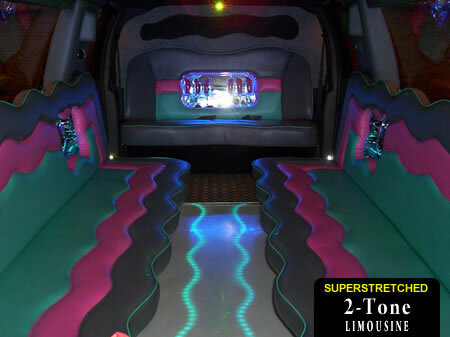 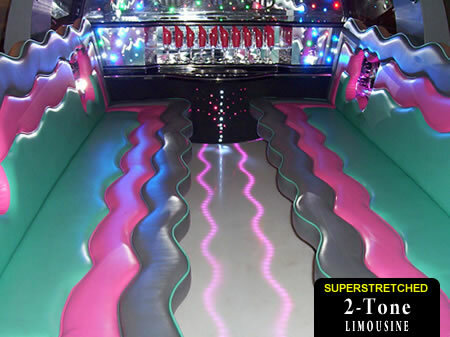 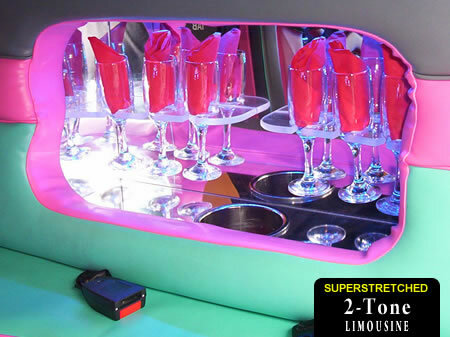 The colourful interior will add atmosphere and fun to your party plans, so sit back, relax, enjoy the lasers and disco lights, the decorative bar area and ice buckets, 4 TV units and DVD player, disco floor with underlights, best in class audio system and sub woofers! 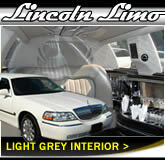 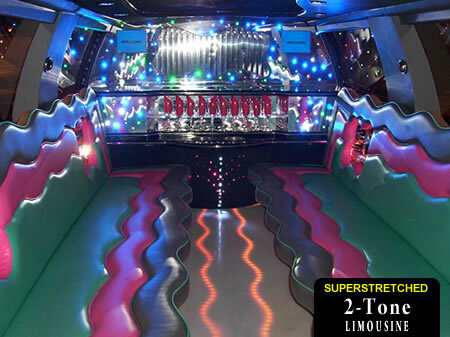 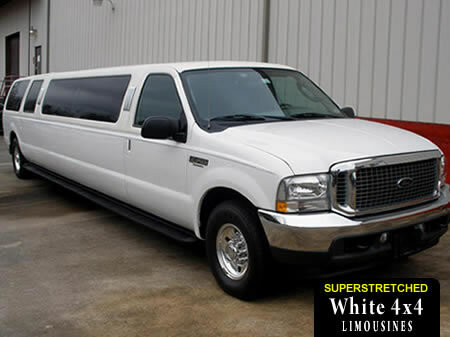 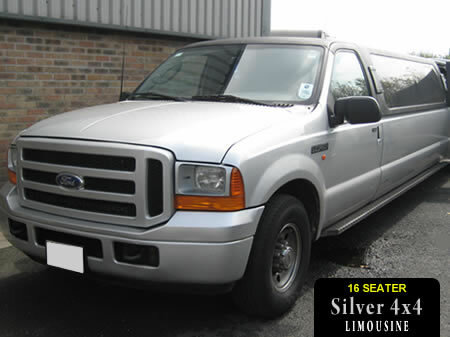 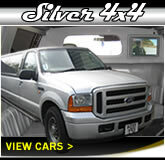 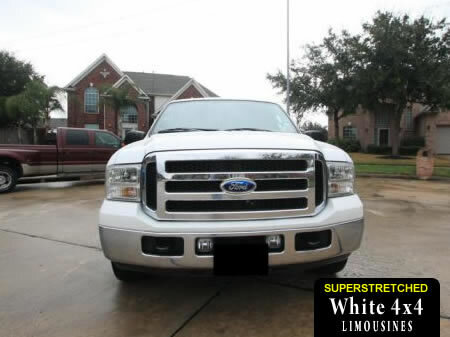 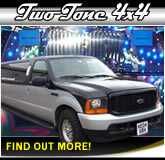 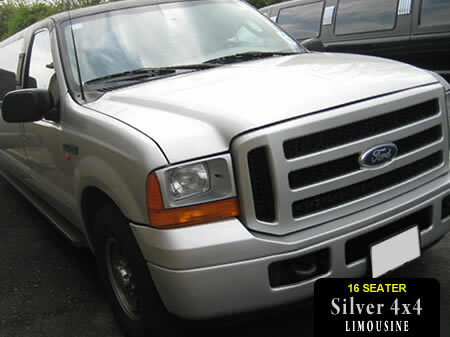 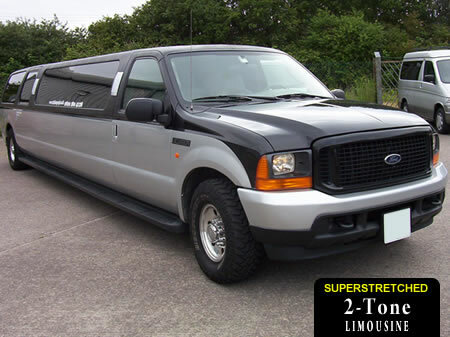 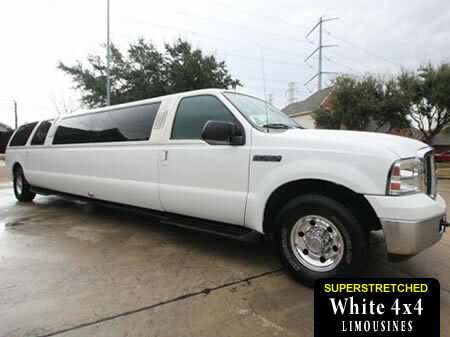 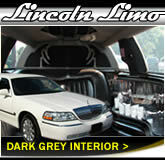 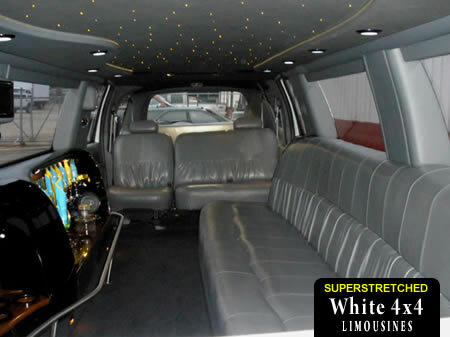 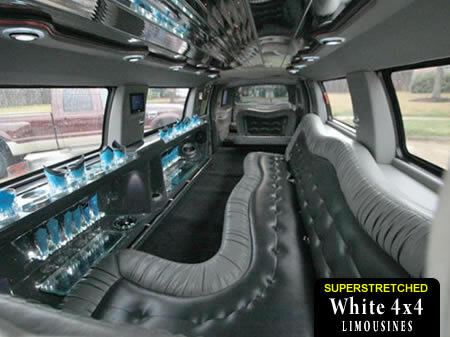 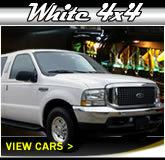 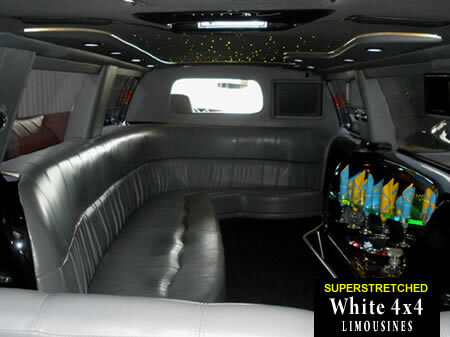 This Ford Excursion in striking silver paint scheme is the newest superstretched limousine in our fleet! 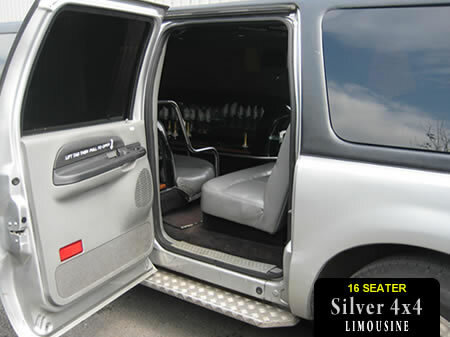 A comfortable car with a smoke-free interior for upto 16 passengers. 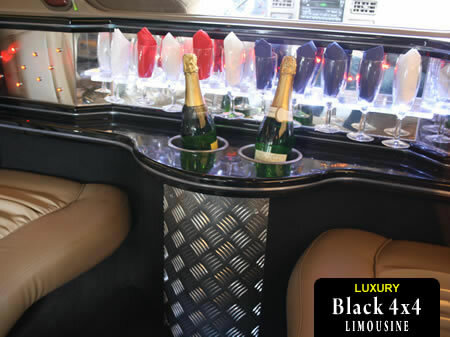 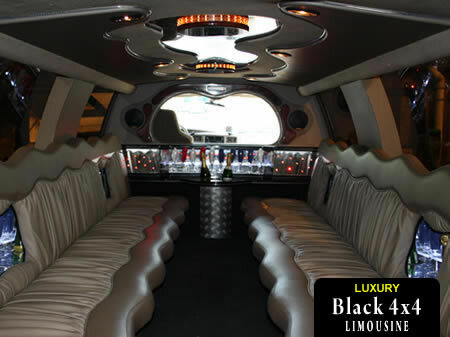 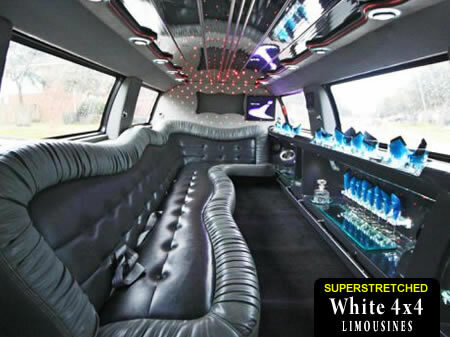 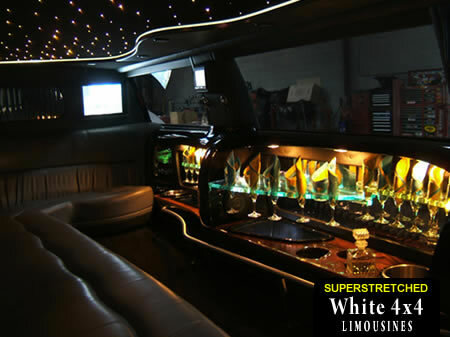 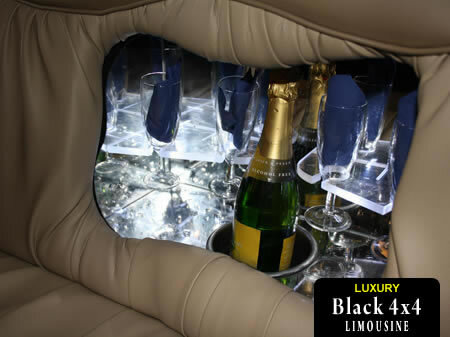 Step inside to find the great features you've come to expect from Cardiff Limos - carpets, leather seating for everyone, tinted windows, plenty of space, TVs, DVDs and a VIP bar area! 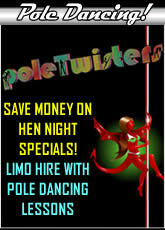 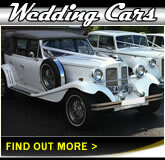 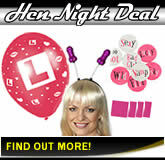 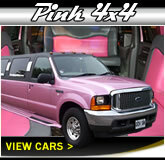 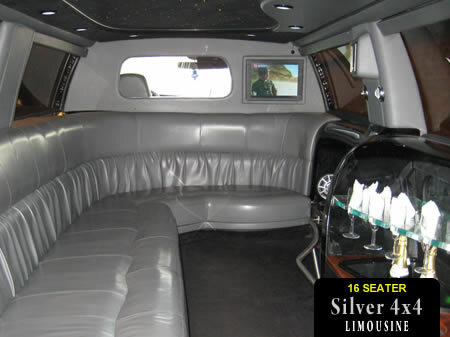 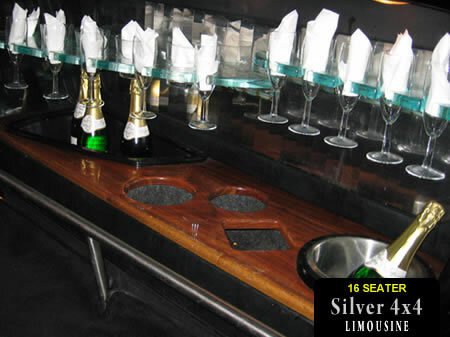 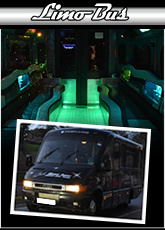 Sit back with 15 other friends and enjoy the party as you travel in style!